I have said that this year is going to be the best ever in my life and indeed it will be because today I'm going to share one of the big things that I have done so far this year. This might be small to you or anyone but for me, it's something which made my year. I have added 'DIY' in the menu bar above, and if someone wondering about where is the link for the topic, I'm just getting ideas prepared for it and when I finish I will start it but I added because it's something planned for it in the next weeks. I'm so excited to start it and it will be so much fun. Before I go further into the post, I would like to celebrate with you guys my achievement some of my goals for this year and this is just the beginning because there are more goals to set in this year and achieve. This how you know that this year is going to be the best when you start achieving your goals. Alright, so I know this is may not big to you as I said, but it definitely is for me because I have been wanting to do this for a long time and finally it happened. I have been struggling a lot in past years and having tough times in my life dealing with stuff that I'm going to mention this post and share with you how my life became better with doing what I have done. 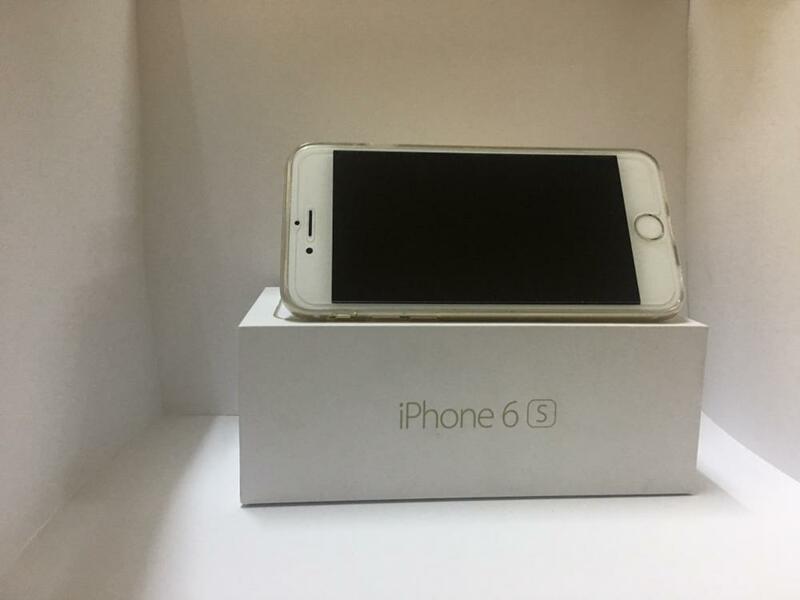 I have been working for the past two years with an iPhone 5 which has a small crack on the screen and every day the crack gets bigger and bigger, because I was not feeling good and I think it doesn't really worth it to be fixed because when I see all the people around me owning a better one than me I feel bad about myself. I was fine, actually using it for a long time, but there was a time when the phone started to get messy and I kept using it though it was struggling. My friends would laugh and tell me every time they see me using the phone to get a new one but I couldn't do so. Calling from my phone was my biggest struggle because of the touch of the screen wasn't good and I would spend a minute trying calling my friends or my family and sometimes it doesn't work at all then I would turn off the phone and try after a few seconds because it was really frustrating. As a blogger, we can all agree that using the phone is one of the essentials for any bloggers because it helps a lot to organize social media profiles and posting every day. I wasn't able to even send messages to my friends from the phone and always I have to open my laptop to do it. There was no interaction at all with my social media and I was missing on all the fun and great posts from them. My friends would play games on their phones when staying together and I'm just looking at them while they are having fun. Though it's not my type to use the phone when we gather all because it's kinda rude and impolite because we gathered to talk and have fun not to use the phone and looks silly. After a while when the phone started to stop working and some of the Phone parts won't even work such as the camera and flashlight, I have made a goal to get a new phone and improve my life and aim to be better in all ways possible. Started working on this goal at the end of the last year, which was the last month and finally I have achieved at the beginning of this year. 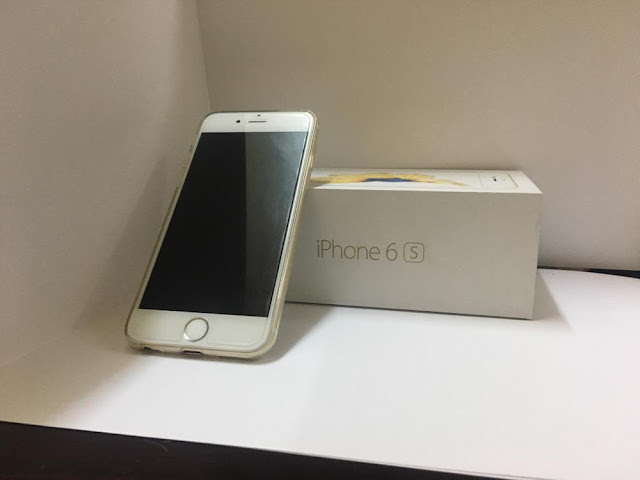 I got a brand new iPhone 6S and This is not a big of upgrade actually, but it means a lot to me. 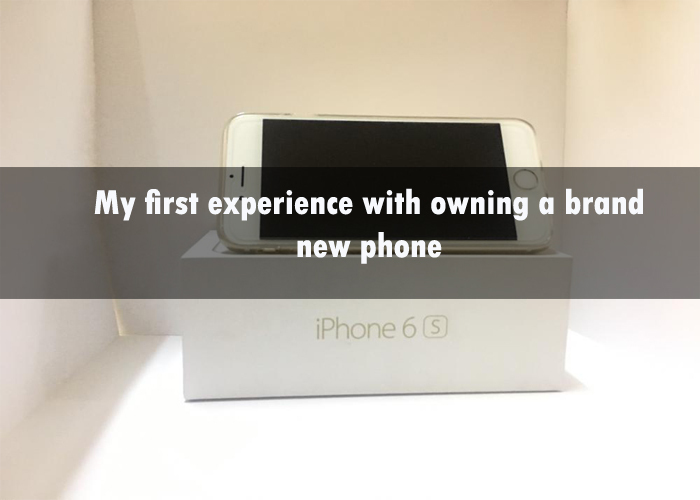 This may be weird, but I have never owned a brand new phone because all the ones I got was used phones that working well. The financial before wasn't allowing me to get a new phone at that time but now everything is great now. My life has changed so much since I got it and it became more organized than before and I'm glad that this happened. I can do a lot of things such as playing games on it and I also have downloaded all the social media apps and this is actually the main reason why my life has changed because I get make my profiles active as much as possible and tweet and use IG and many more. I haven't mentioned this, but my camera which I use to take pictures for my blog and social media stopped working and I was using my cousin's phone because he has a good camera on his phone and it was a bit of a struggle because the timing of his allowing me to use his phone but now since I own good quality camera on my phone I'm no longer going to ask him for it. Another thing is that I don't have to check my emails from my laptop when there are new emails from anyone. Also, I get to notified as soon as they send it which really helps to not miss any important emails from people and I can add accounts as much as I want and still get notified from all the accounts. Alright, I think this is a warp for this post and I hope you enjoyed reading my experience with using a brand new phone for the first time in my life which it's kinda weird but hey, anything in this world is possible and I'm so excited for this because I know this will be such an awesome year for me and I hope it will be for you as well. I would like to know in the comment section when it was your first ever experience with a brand new phone and how it was. I really hope I'm not the only one who did it at a later age, but I'm sure there is at least someone who did. hey, it is great to have new experiences. Congrats on your new phone. Enjoy. Yeah that's true, Thank you so much!